Giant Foam Casino Poker Chip Prop - 12" Wide - Dino Rentos Studios, INC.
Each casino poker chip prop is 12" wide by 1" thick . Have your logo embossed into the chips. Contact us. Price is for 1 foam poker chip prop. 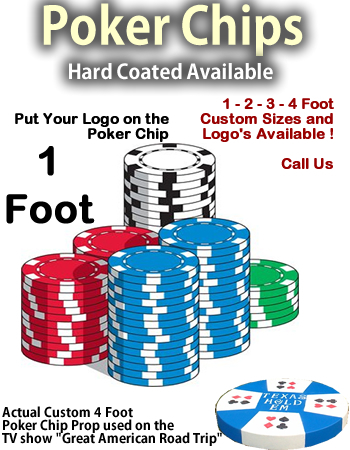 Call us to have your custom chip created!